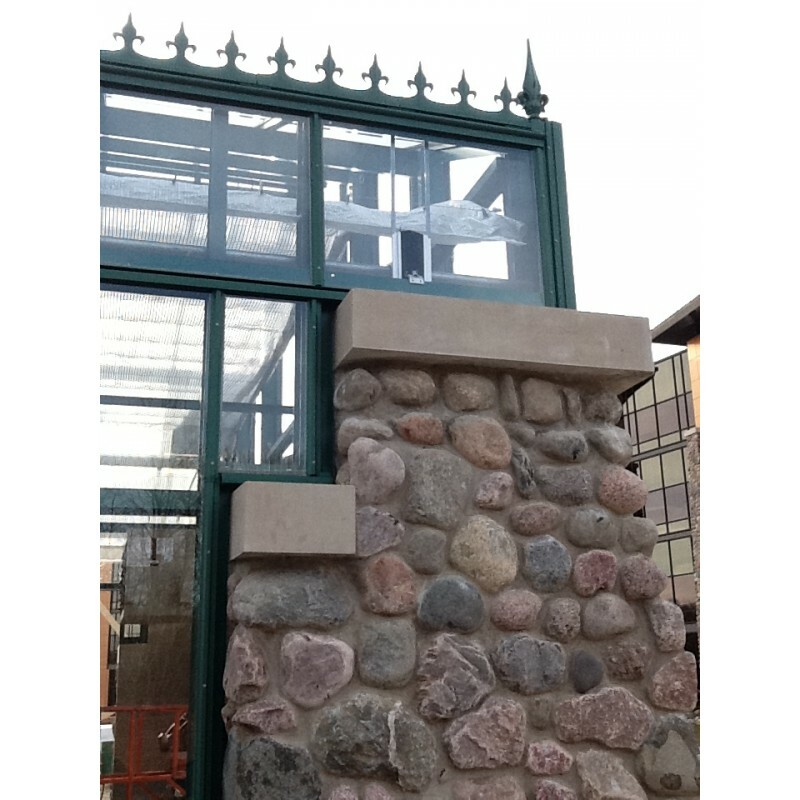 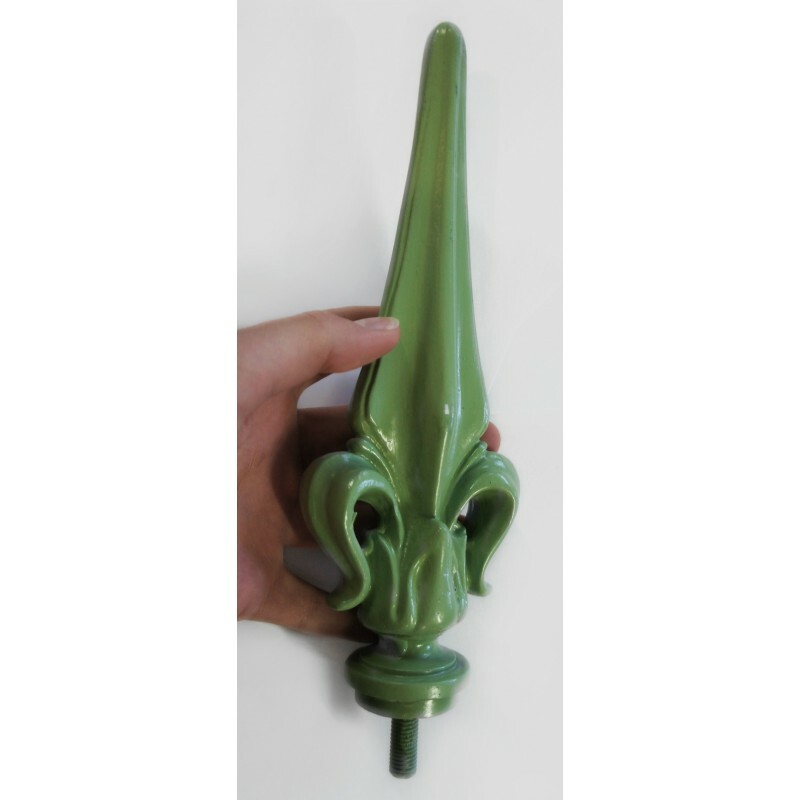 Our roof finials are all cast from solid aluminium, they are suitable for use as conservatory finials, ridge finials, greenhouse finials, summer house and shed roof finials, porch finials and any other building with a ridge.  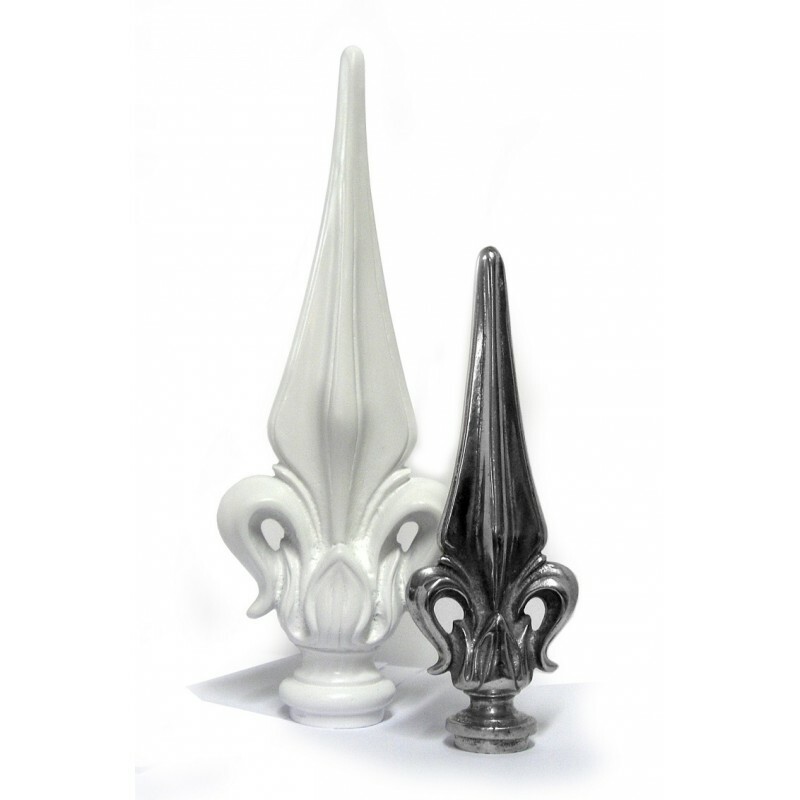 We offer our finials in white powder coated or a raw finish ready for any special colour or finish anyone would wish to apply. 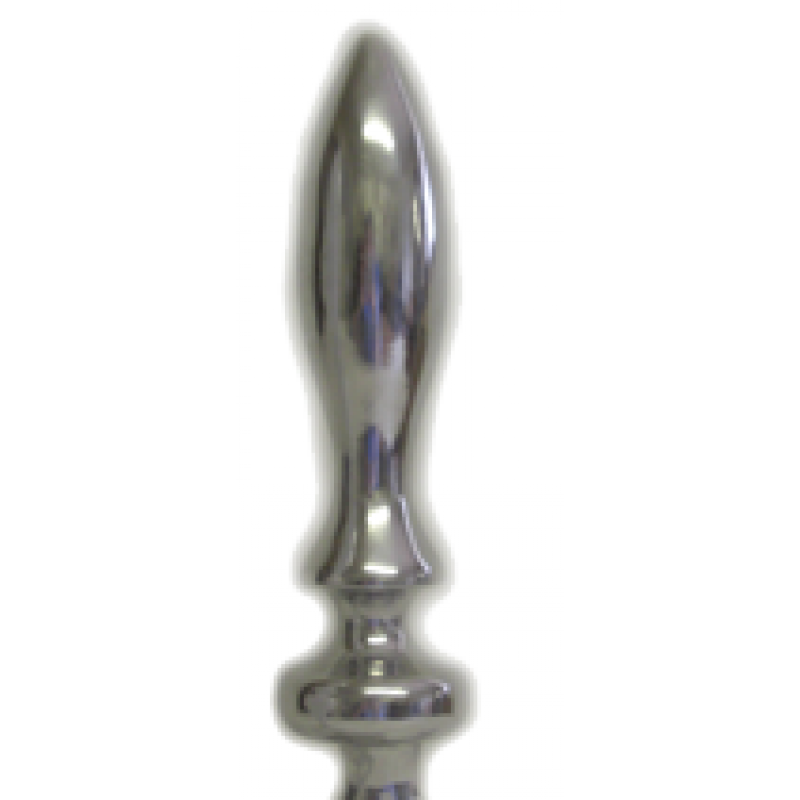 Solid Aluminium Ball Finial, hand cast complete with 10mm threaded studding with nut and washer for easy fixing. 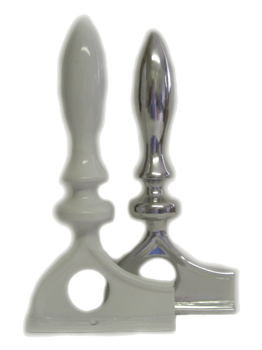 Available in polished or white finishes. 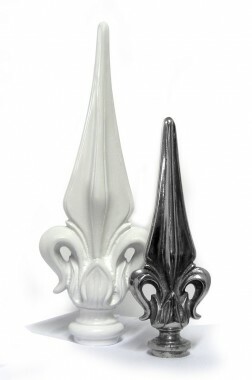 A hand cast solid aluminium Fleur De Lys Finial, available in polished aluminium or white powder coating. 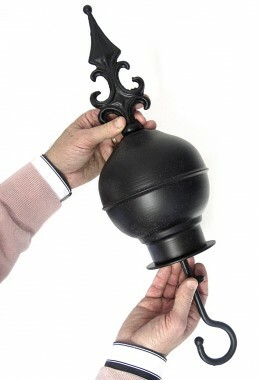 Easily fixed and matches our Fleur de lys crestings. 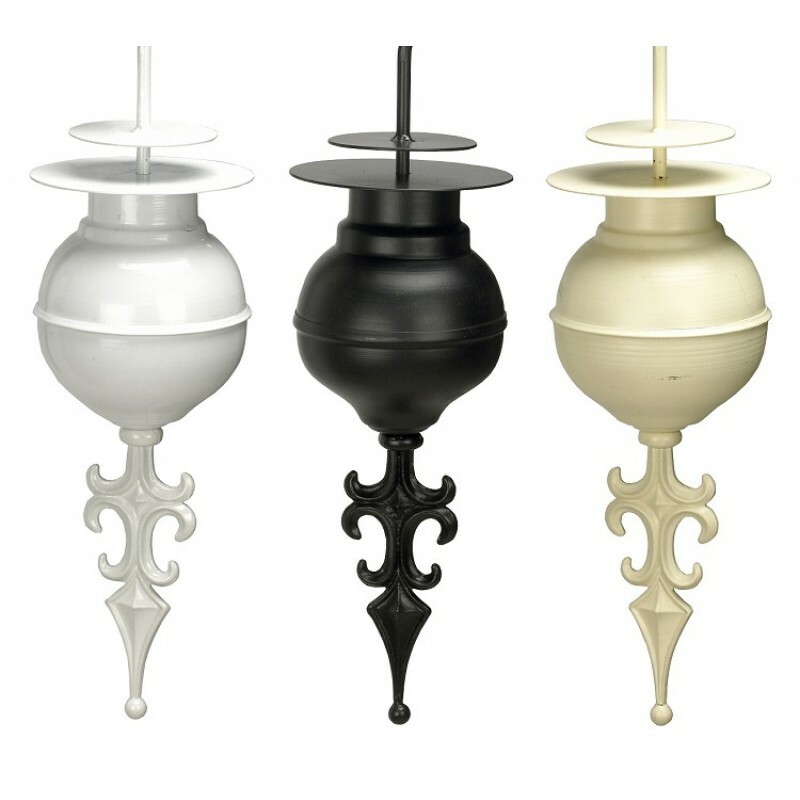 Choice of colour finishes. 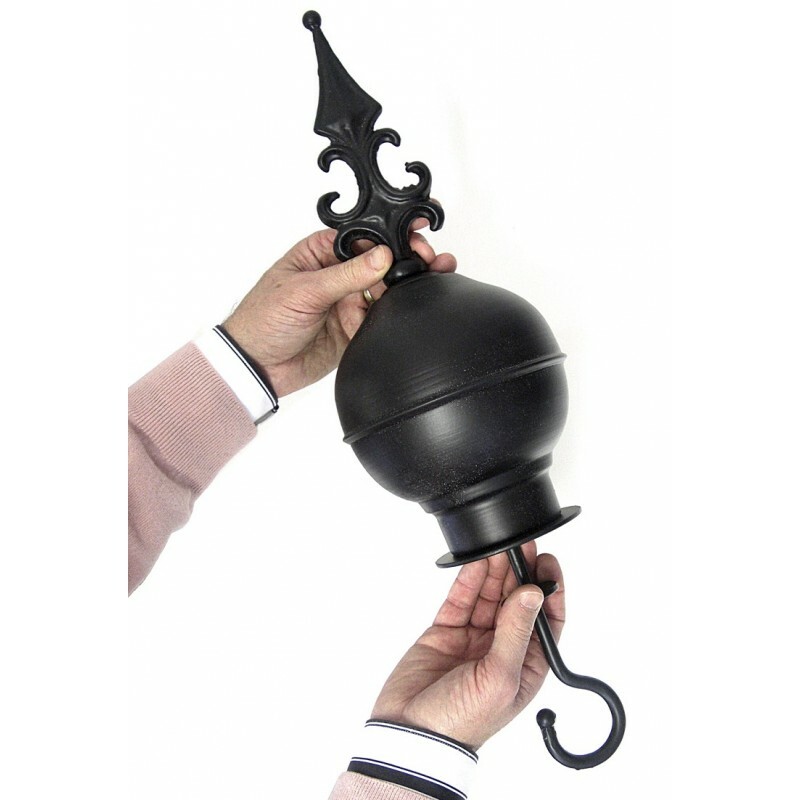 Conservatory Finial with Decorative Base, cast in solid aluminium, available in either a polished or white powder coat finish. 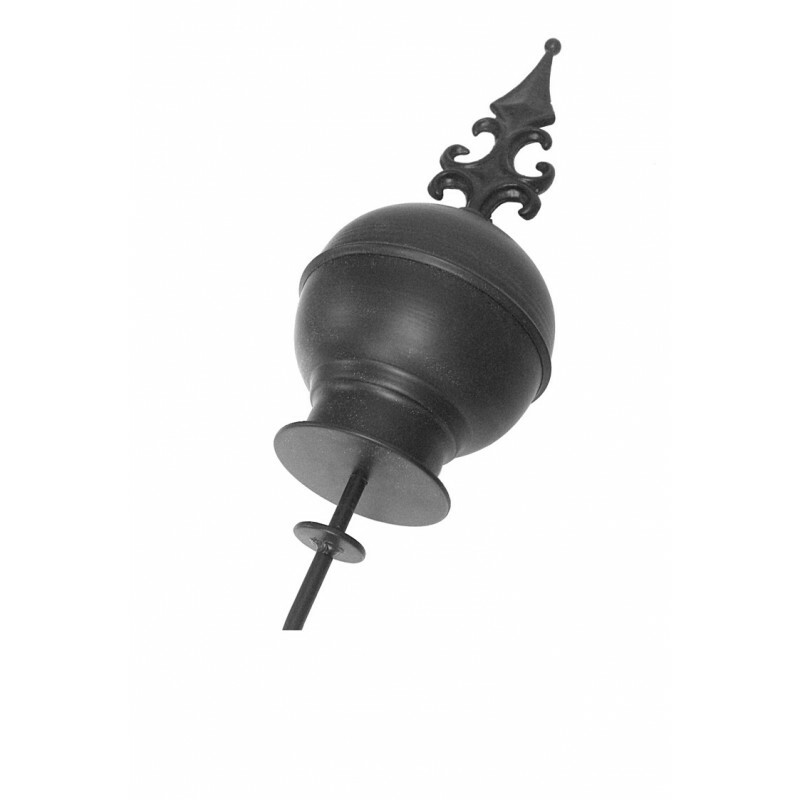 This finial is always used with our CP509 Aluminium Barnes Fleur de Lys Cresting and is screw fix. 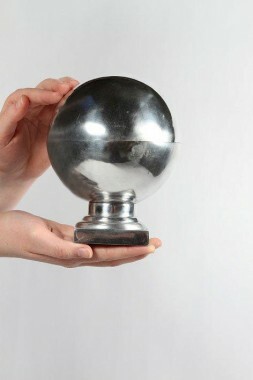 Its just down to your imagination. 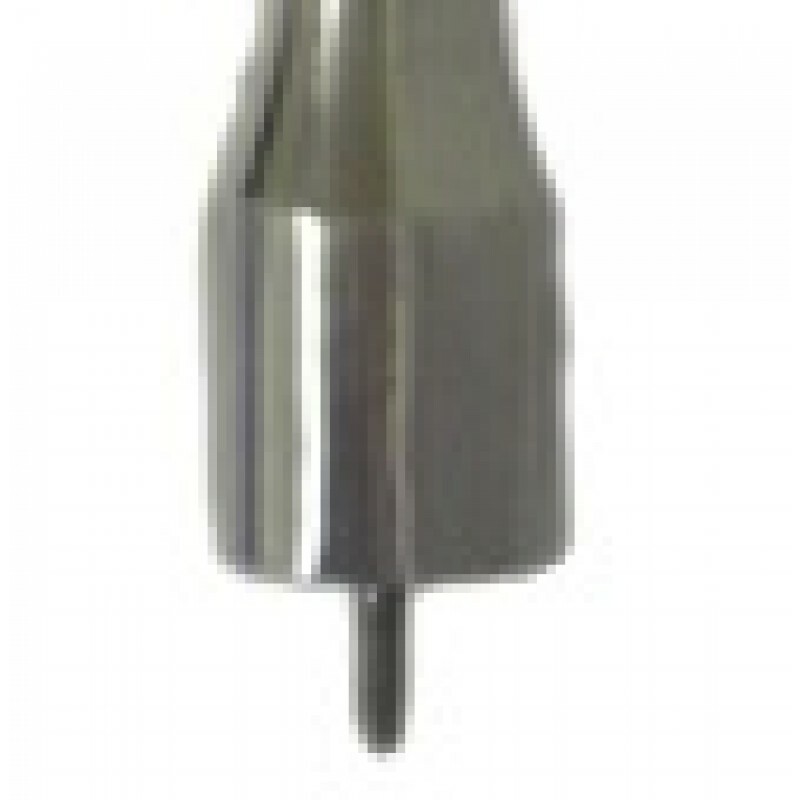 Supplied with a length of threaded allthread, for easy fitting. 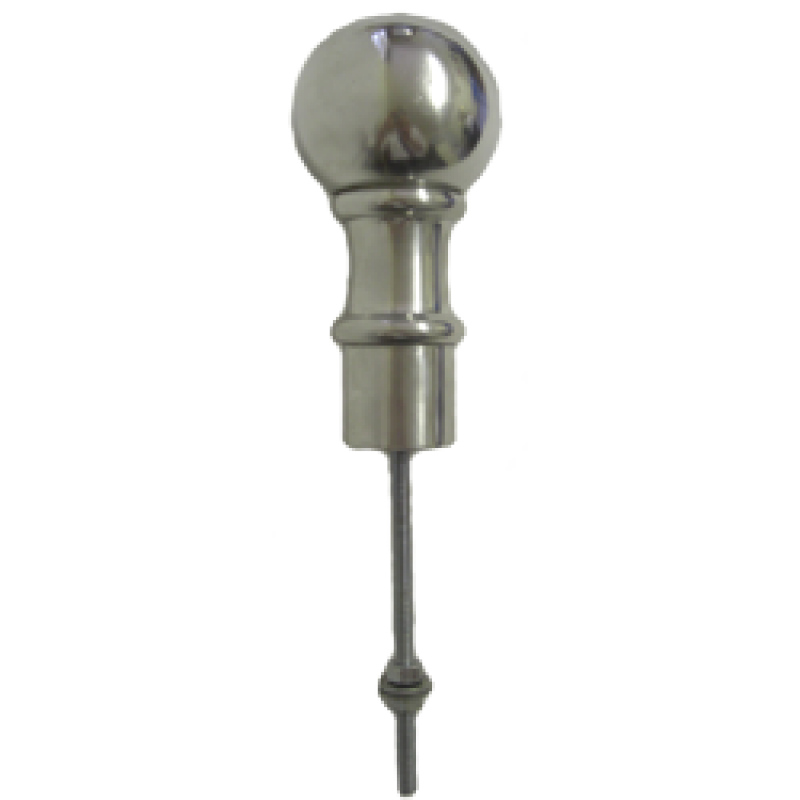 A solid aluminium statement is our Berkley Streamline Finial, will add the finishing touch to any conservatory, sun house, sun room, greenhouse or humble shed. 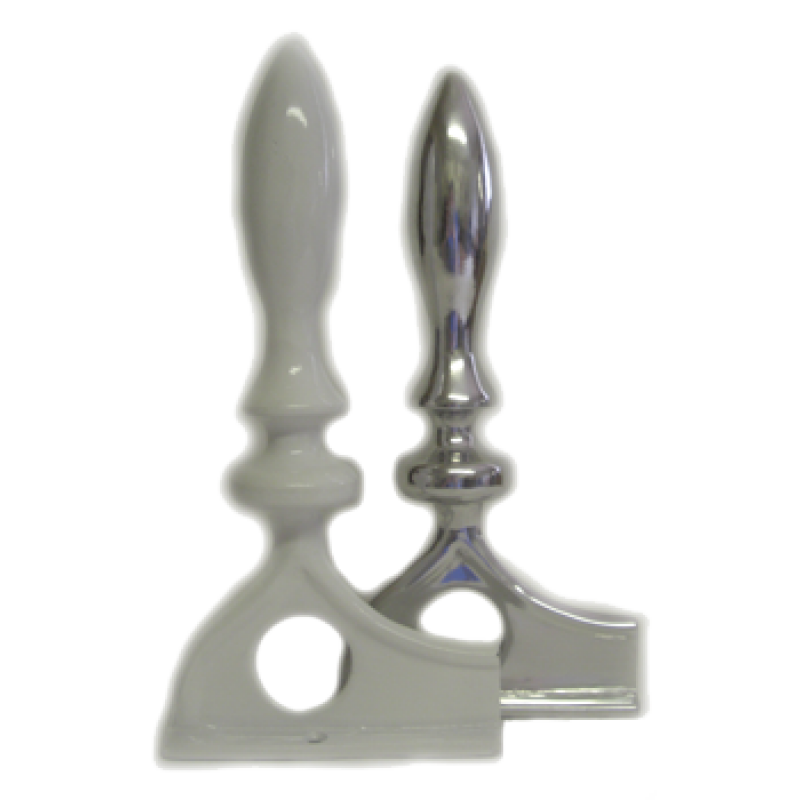 Availabe in either a polished aluminium or white powder coat finish. 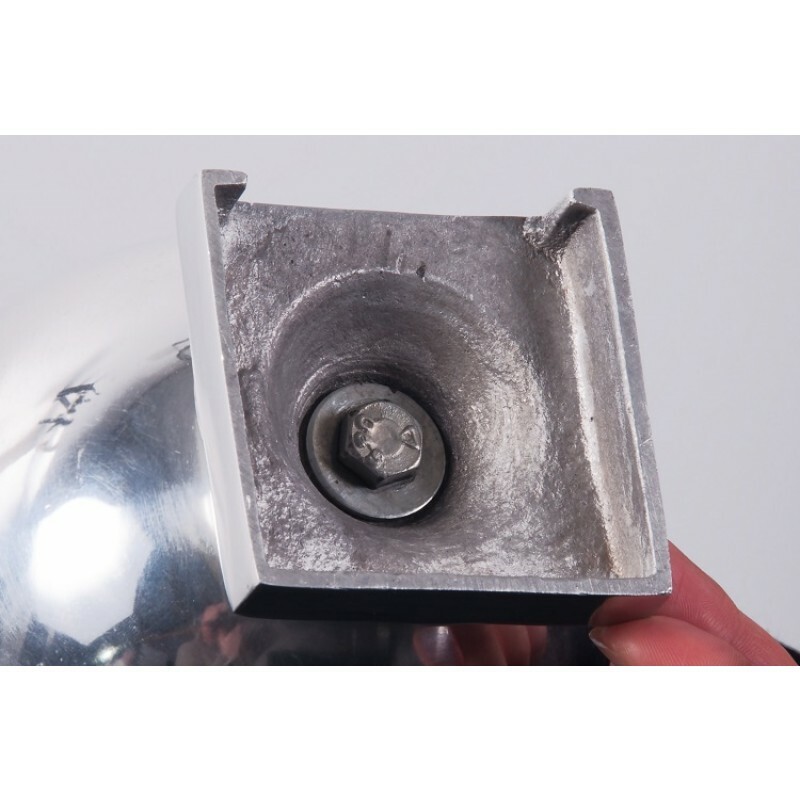 Supplied with a 8mm threaded stud fixing. 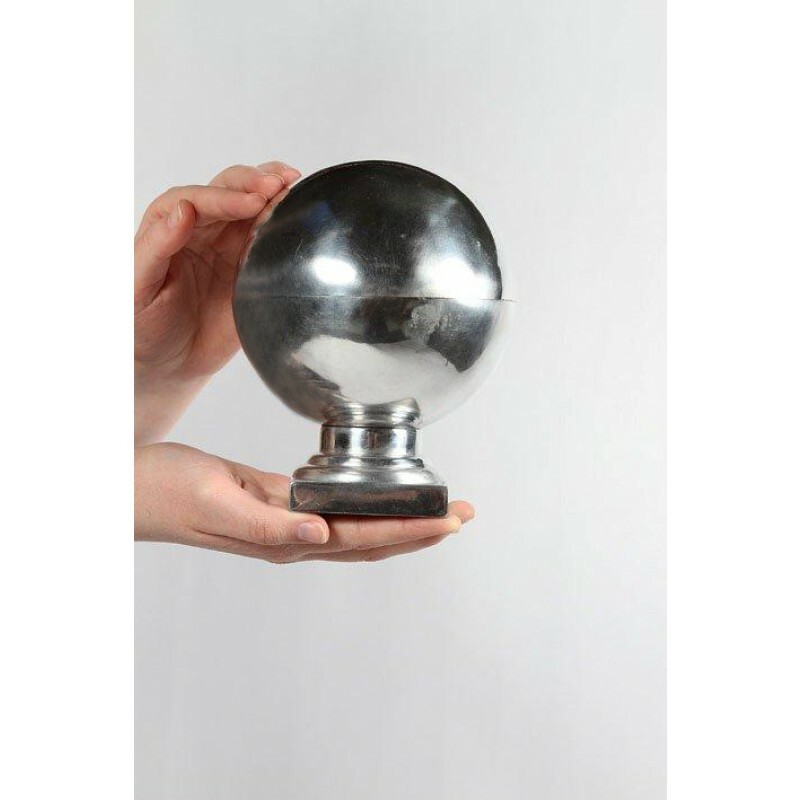 A large hollow cast aluminium Orb Finial with square base. 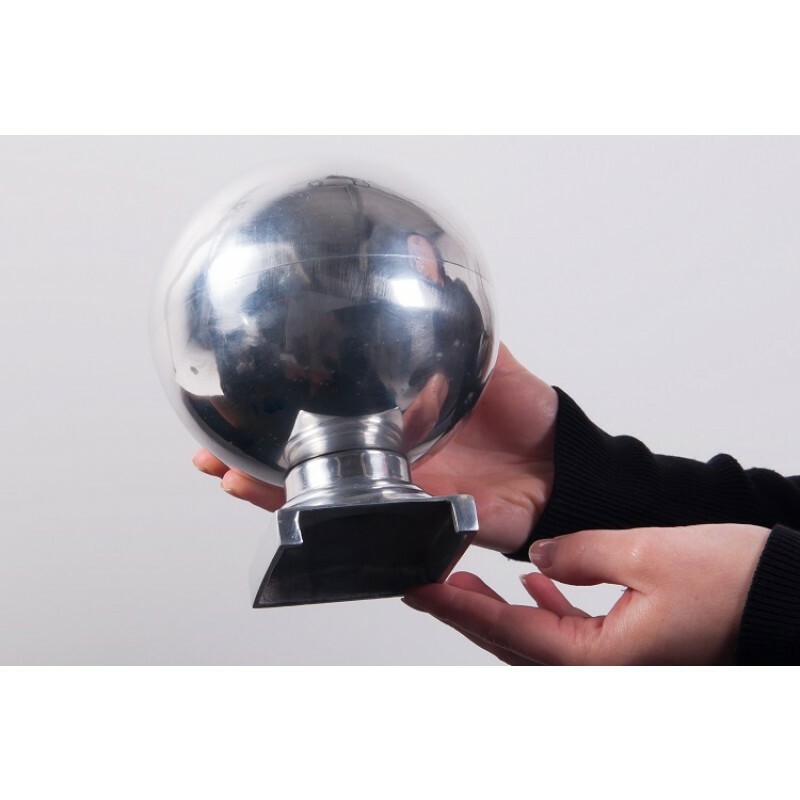 Suitable for conservatories, sunhouse or any structure that just needs a finishing touch! 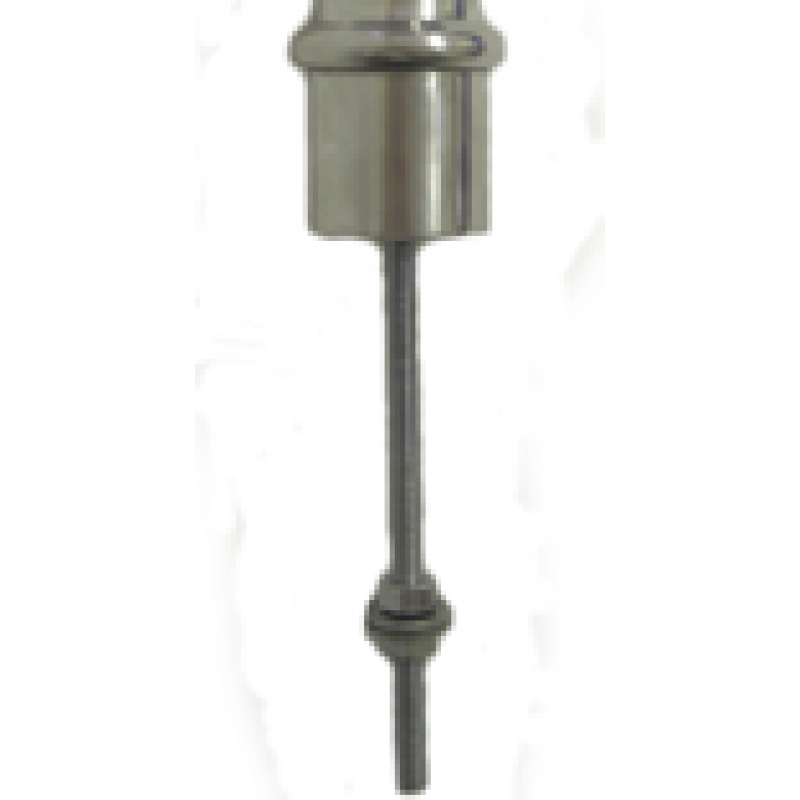 This Finial is supplied with a removeable bolt, It can be removed if needed and a longer bolt can be used.